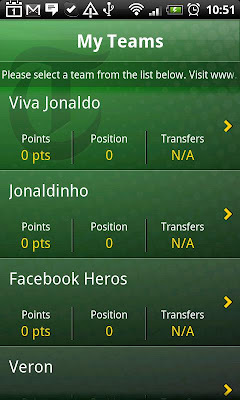 We have already told you about The Suns new official fantasy football app for android. 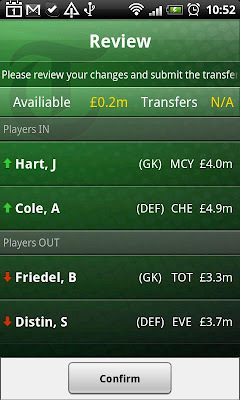 Well now it seems The TelegraphÂ have seen the light, as they release their new fantasy football app to the market. It's got some decent comments so far, and from the screenshots it looks like they put in a bit of time to make it pretty as well as functional. A must have for anyone playing the TelegraphÂ fantasy football this year! Make your Fantasy Football season even more exciting with the must-have app for Telegraph Fantasy Football managers that leaves you with no excuses for being out of touch with your team. The app allows registered Telegraph Fantasy Football players to: - view all registered teams - make transfers on the go - check their Super League position - view the player points for each player by position All teams registered on www.telegraph.co.uk/fantasyfootball will be accessible to manage by using the same login details (email address and password) that were used to register with online.